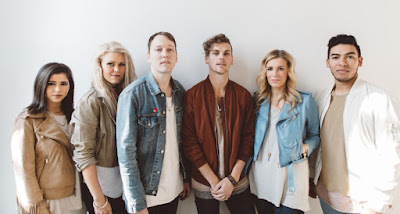 In 2011, Essential Records welcomed Charlotte, North Carolina based worship group Elevation Worship to their artist roster. The group, stemming from Elevation Church, has since released six chart-topping worship albums, featuring songs that are now sung regularly in worship sets all around the world. For me, personally, however, it was the band’s fifth offering, Here As In Heaven that won me over to their sound, though I had been familiar with some of their previous works. That album featured the outstanding title track, which I heard covered by Kari Jobe and her husband Cody on her latest CD The Garden. I heard other covers of this song (Laura Hackett Park), as well as covers of “Resurrecting” (Aaron Shust), “Jesus I Come” (Justin Rizzo) and others. I began watching the band’s live videos on their Youtube channel, and was very excited for their sixth release There is a Cloud which released earlier this year. There is a Cloud opens fantastically with the title track. Based on 1 Kings 18 and the three-year drought recorded there, this soft track declares – just like Elijah did – that the rain is about to come to end the drought and saturate the dry land. Audience participation is strong, as together they sing, “We receive Your rain!” and, “Like a flood, we receive Your love!” Building strongly as it progresses, this track is so phenomenal it is hard to get past, and is definitely one of the stand-out tracks off the album as a whole. More upbeat with pounding drums and great synthesizer fill-ins comes “Overcome.” It celebrates the resurrection of Jesus Christ and what that looks like for us as believers: “And for every fear, there’s an empty grave, for the risen One has overcome!” “Do It Again,” follows, partnering with a spontaneous track for ten-minutes of declaring unshaken faith in God – that He who has moved the mountains once, and made a way where there was none, will surely do it again for us! Through these two soft tracks, it is easy to feel your faith arise as you sing along! Carrying desperation through every line, “Fullness” begins with beautiful piano. It borrows heavily from Acts 2, with a powerful reminder that God has promised an outpouring of His Holy Spirit in these last days, accompanied by signs, wonders, dreams, and visions. Though the strong chorus cries out for God to “pour it out” and to “let Your glory fill this house,” the highlight of this track for me is its strong bridge, where pounding drums and passionate vocals declare, “Tongues of fire testifying of the Son/ One desire, Spirit come, Spirit come/ Speak revival/ Prophesy like it is done/ One desire, Spirit come, Spirit come.” As it is a prayer of mine, it is one of my personal favorite tracks off There is a Cloud; it will pulsate through your veins, as you will find yourself crying out, along with the Elevation Worship team, for all of God’s glory in these last days! “He is Lord” follows, light, and sounding much like a classic Hillsong Worship track, as it softly declares, “He’ll see me through like before/ He is Lord, He is Lord/ I’m not afraid anymore/ He is Lord, He is Lord.” Though it is simple, it again carries a powerful message of unwavering faith in Jesus. “Yours (Glory & Praise)” is yet another of my personal favorites off the There is a Cloud album – a “throne-room” track as some would call it. Its bridge invites the listener directly into the presence of God to declare His praises: “Glory and praise/ Power and strength/ Worthy is the Lamb of God/ Hallelujah.” I thoroughly enjoyed the strong audience participation that can be heard, as well as the mix of deep and higher vocals as the track progresses. Much like Hillsong Young & Free, with strong synthesizers and electronic effects, comes “Uncontainable Love,” the most upbeat track off this album, celebrating the love of God and how we cannot be separated from it! This track will, no doubt, be a favorite of the younger listeners. Also female-led, “Forever Run” is soft, yet contains strong drums, as its chorus simply declares the powerful truth that “You are the strength of my heart forever/ I run again to Your love,” and “My God, Your love is enough.” I thoroughly enjoyed the strength the track offers, as it invites the listener to sing their way into the truth along with the Elevation Worship team. With a complex melody, the softer “None” simply contemplates that “there is none like You/ None like You, the faithful One, Jesus,” and declares the reasons why – including one of my personal favorite lines, “You tell the storm when it will cease before it starts.” This track soars by its bridge, proclaiming the everlasting nature of Jesus – simply spectacular beyond words! Following in the footsteps of “Uncontainable Love” is “Grateful,” having a heavy pop tempo in its beginning and sounding very light-hearted throughout. Sounding much like Gateway Worship, “Mighty Cross” is the first of the final four tracks on this album. It is very poetic as it describes the powerful blood of Jesus that “will never lose its power for me.” Though strong clapping can be heard in “Oh Sing,” which also has wonderful synthesizers, the track has a very calm feeling to it, also sounding much like a Psalm. Closing the There is a Cloud album is “Here In the Presence.” Reminding me of a track we might hear from William Matthews of Bethel Music, the seven-minute track invites the listener to leave their chains behind and receive the freedom of the presence of the Lord – a fantastic ending to the album with some fantastic lead guitar work. 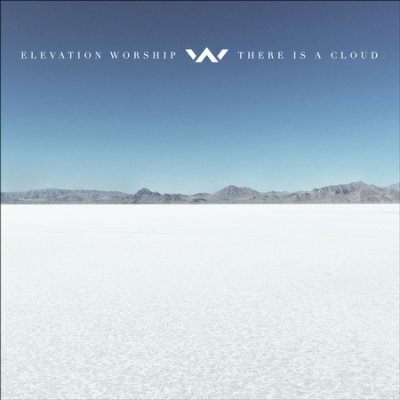 There is a Cloud is my first full-length listen to Elevation Worship, and I can confidently say that it is a phenomenal worship album for those looking for CDs that carry the presence of God! In a day where many worship artists are polishing their sounds for more radio play, Elevation Worship keeps it raw, making it as if you were there in a powerful worship service! They declare unshaken faith in the blood of Jesus, what He has done for us, and what He has promised us, as they lead us straight into the throne room of God. I will definitely have this album on repeat (as I already have!) and I recommend it for those looking for powerful worship music to play during your personal prayer time. Watch the "There is a Cloud" video below!